There are countless Lost Sectors in Destiny 2, but some were added well after launch of the base game in 2017, like Ancient's Haunt. In this Destiny 2 Ancient's Haunt Lost Sector guide, we'll be examining the location of this hidden Lost Sector on the European Dead Zone map, so you can track it down as easily as possible. If you instead need help with any additional areas of Bungie's FPS sequel, you'll want to check out our complete Destiny 2 guides hub. It's in this page that you can find full guides to obtaining some of the rarer Exotic weapons in the game, like the Rat King, as well as how to complete significantly challenging endgame quests, like the Leviathan Raid. In case you're new to Destiny 2, Lost Sectors are basically hidden mini dungeons scattered throughout every open map area in the game. They're marked on your local map via an upside down semi circle with a dot in the middle, but the actual entrance to the Lost Sector itself can be anywhere nearby this symbol. 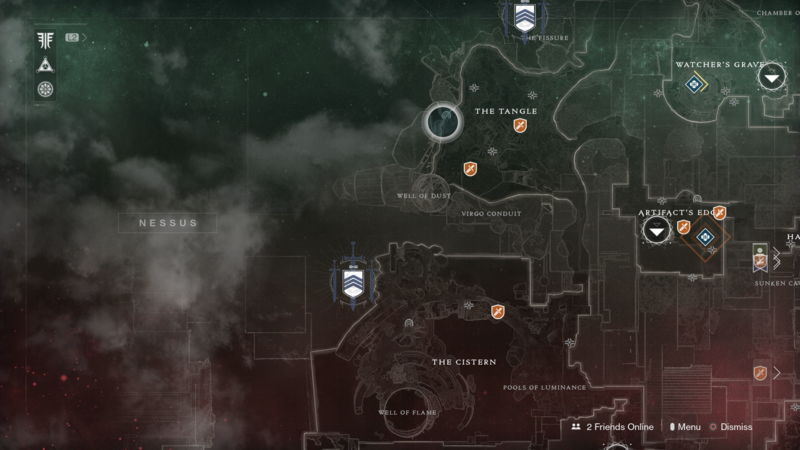 With this Lost Sector however you're in luck, as the entrance to the actual dungeon itself can be found literally next to the symbol on the map, as shown by our screenshot of the Nessus map just below. It's definitely one of the more simple Lost Sectors to find in Destiny 2, thankfully. Once you're inside Ancient's Haunt, there's plenty of Vex enemies to fight. You're going to be going up against tons of Goblins, Hobgoblins, and some tough Minotaur enemies, so we'd recommend taking rapid firing weapons with you, and saving your Super Ability up for the final boss of the Lost Sector. Now that we're all done with this Destiny 2 guide on how to find and complete the Ancient's Haunt Lost Sector, you can continue ahead to any of our additional guides on the game. For example, you can head over to our Destiny 2 Gambit guide for a walkthrough of the brand new PvPvE mode, or our Destiny 2 Forsaken weapons guide for a list of some of the more powerful weapons in the latest DLC drop.